Under its New Leader Jagmeet Singh, Will Canada’s NDP Finally Call for Sanctions on Israel? DIMITRI LASCARIS: This is Dimitri Lascaris reporting from Montreal, Canada for The Real News Network. Canada’s New Democratic Party, widely regarded as being Social Democratic, has a new leader, Jagmeet Singh. 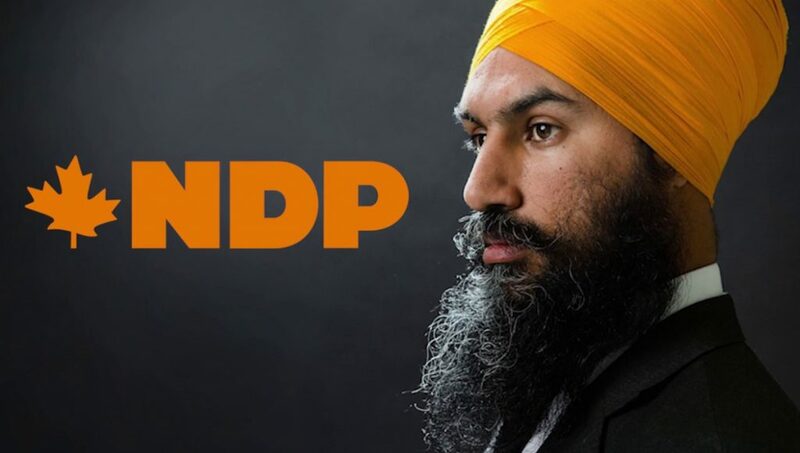 In about a week, members of the party will converge on the nation’s capital, Ottawa, for the first annual NDP convention under the new leader. Pro-Israel lobby groups are nervous about what might happen at the upcoming convention. Jagmeet Singh’s predecessor, Tom Mulcair, was widely criticized by Palestinian rights advocates for being too supportive of the State of Israel. But after Jagmeet Singh replaced Tom Mulcair, the NDP has adopted a noticeably more combative tone about Palestinian rights. For example, on February 2, 2018, the NDP’s foreign affairs critic, Hélène Laverdière, took the Liberal government to task in Canada’s Parliament on a range of Palestinian rights issues. Let’s listen to what Madame Laverdière had to say. HÉLÈNE LAVERDIÈRE: … was appointed to receive foreign affairs. I have sent her many letters on Israel and Palestine, and I have yet to receive a reply. HÉLÈNE LAVERDIÈRE: Not a single reply yet. HÉLÈNE LAVERDIÈRE: Does the government have a position on labeling of products from illegal settlements? No reply. Will the government defend the rights of imprisoned Palestinian children including Ahed Tamimi? No reply. Has the government raised concerns about threats to Palestinian villages like Susya? No reply. But the question remains, how far is the NDP leadership truly prepared to go to defend the rights of the Palestinian people? To explore this question, we are joined today by two Palestinian rights activists from the NDP who are spearheading a new resolution on Palestine in advance of the upcoming convention in Ottawa. Geneviève Nevin is a long-time NDP activist and a member of Independent Jewish Voices Canada. She is currently finishing her degree in international development and indigenous studies at the University of Ottawa, which is situated on unceded Algonquin territory. Yazan Khader is a Palestinian organizer based in Canada. He joined the NDP in 2013. Geneviève, let’s start with you. What precisely does the new resolution, which you and Yazan and others have been promoting, call for? GENEVIÈVE NEVIN: Well, essentially it calls for a lot which has already been brought up by NDP members in the past or what have already been spoken to by NDP politicians, but we want to essentially see it constitutionalized within our policy book. Specifically, it calls for Israel to end its blockade on Gaza and to recognize Arab Palestinians’ right of full equality under law and address refugee claimants fairly. But more specifically, as well, we call with this resolution to ban the settlement products and to use other form of diplomatic and economic pressure to end the occupation. But with this, we want to emphasize that it’s not necessarily, it’s not a BDS resolution in that it’s only focusing on the illegal settlements of the illegal, products stemming from the illegal settlement colonies. 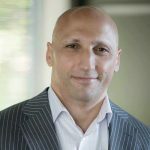 DIMITRI LASCARIS: Right, and the BDS movement has much broader goals, I understand, aimed essentially at any corporation, organization, individual that is complicit in the violation of Palestinian rights. Is that correct? DIMITRI LASCARIS: Am I also correct, Geneviève, in understanding that if this resolution is adopted, it would be the first time that the NDP has ever called for any form of economic sanction on the State of Israel? GENEVIÈVE NEVIN: Well, again, essentially with that, we’ve saw with our leadership race and with the election of Jagmeet Singh is that a lot of what we’re calling for with this resolution has been stuff that NDP profile, high profile members of the NDP have called for in the past. The organization of which I am a part, Independent Jewish Voices, along with Canadians for Peace and Justice in the Middle East, released a questionnaire that all of the leadership candidate undertook during the leadership race and which explored this issue. We were very heartened to see that, in his response to this question, Jagmeet Singh said he would be open to some form of economic sanctions or banning of settlement products. DIMITRI LASCARIS: All right. Yazan, please tell us about the ways in which you, Genevieve, and others have been trying to promote this resolution. YAZAN KHADER: Well, first of all, the resolution has been quite popular among membership. I mean, we know from a survey done last year that 66%, that’s two-thirds, of Canadians say that they think that sanctions on Israel to end its settlement program is reasonable. That number rises to 84% among New Democrats, so this isn’t something that is sort of new. New Democrats already know about this. New Democrats already, for the most part, think it’s reasonable. What we have done is we’ve sort of sent this out to as many EDAs as we can, and remarkably the response has been quite positive. By EDA, by the way, I mean the riding associations. That’s the local NDP chapters. About 26 local NDP chapters, 26 EDAs, said that they endorse this resolution. The youth wing of the party has endorsed this resolution, the youth wing in Quebec and New Brunswick, and many, many University chapters have said that they support this resolution. So all we had to do was just reach out with the text of our resolution, which is asking for things that are quite reasonable, that will push the fold of the conversation but are within grasp in terms of what Canadians want, and the response was automatic. People were very enthusiastic about this, and they offered to help. In fact, we’re seeing quite a bit of offers to assist us in the convention. DIMITRI LASCARIS: Yazan, I’d like to talk to you about the reaction that these promotional efforts, this advocacy, has elicited from the NDP caucus and the leadership. But before I do that, I’d like to play a clip for you of an exchange that I myself recently had with the NDP’s new leader, Jagmeet Singh. This exchange occurred in the second half of last year at a campaign event in London, Ontario just before the party’s members voted to make Mr. Singh the new leader. Let’s listen to what was said in that exchange. There have been decades of negotiations and political pressure, moral pressures, been applied by the international community but there has been no penalty imposed on the State of Israel in any form, whether government sanctions, civil society sanctions. That’s only just begun, it’s in its infancy, and so really my question is focused on is addressing the issue of without sanctions, without some form of economic penalty, peaceful economic penalty, is there a solution to this problem? Because the settlements are now triple in size from what they were before they lost their peace accord, so it seems as though the only way we’re going to get any kind of change in the behavior of the State of Israel is for international law to be enforced, and we have to move beyond dialogue. My question to you is do you support enforcement of international law, going beyond dialogue, particularly through the use of economic sanctions? DIMITRI LASCARIS: Do you support the recognition of the State of Palestine by Canada, by the Canadian Government? DIMITRI LASCARIS: Yazan, you will have seen and heard that in my conversation with him, Mr. Singh endorsed the principle that human rights violators like Israel should be subjected to economic sanctions and he also said he was 100% in favor of Canada’s recognition of the State of Palestine. My question to you, Yazan, is in your interactions with NDP MPs and the leadership of the party, do you have the sense that the leadership is prepared to support, at this convention, some form of economic sanctions on the State of Israel? YAZAN KHADER: Well, from the response that we’ve been getting from Members of Parliament, members of caucus within the NDP, there is a bit of reluctance, admittedly. They want to push the conversation forward. They want to be able to have a mandate from members to express certain, push forward certain policies like labeling of settlement product. In fact, that’s what Jagmeet Singh, in a survey, or in a questionnaire, I should say, sent to him when he was running for the leadership of the party said he would support labeling and that he would consider banning of settlement products. But they have been very reluctant to add to that, to a settlement ban. It is strange because the level of support on the grassroots level, the level of support on the local chapters level, has been overwhelming. And so I don’t see why they wouldn’t go for it, but we are talking to them and we’ll see how it goes. DIMITRI LASCARIS: Finally, Geneviève, what would you say to the NDP leadership about the relationship of the party’s core values to the issue of Palestinian rights? What I mean specifically is, in your opinion, would the leadership be respecting the core values of the NDP if it opposed any form of economic sanction on Israel? GENEVIÈVE NEVIN: Well, essentially, we see this resolution as a continuation of the work that the NDP had been doing on that spectrum of human rights, right? So we pride ourselves as being this party of standing with oppressed peoples and marginalized communities everywhere, so in my opinion and the opinion of people who are fighting for this resolution that if the NDP is the party of love and courage, which is our now famed slogan, that that love and courage must extend Palestinians and that this resolution and the support of this resolution is in-line with that mentality and in-line with the work that the NDP has historically done in supporting communities across the country but across the world as well in standing up for human rights and peace and for justice. DIMITRI LASCARIS: Well, we’ve been speaking to two Palestinian rights activists in the New Democratic Party, Geneviève Nevin and Yazan Khader about a new resolution calling for a ban on settlement products. This is Dimitri Lascaris reporting for The Real News. Yazan Khader is a Palestinian organizer based in Canada. He joined the NDP in 2013. He can be reached via email at [email protected] or via his twitter account @yazankhm.